Tess Whitty is a translation and localization expert who helps companies reach their target market in Sweden. She combines a background in international marketing and IT with her English/Swedish linguistic skills. Tess is member of the American Translators Association, where she is actively involved as a marketing consultant, a trainer, a speaker and a grader for the English-Swedish Certification Program. As the author of the Marketing Cookbook for Translators: Foolproof recipes for a successful freelance career, Tess has helped other freelance members of the translation community to build thriving businesses for themselves. 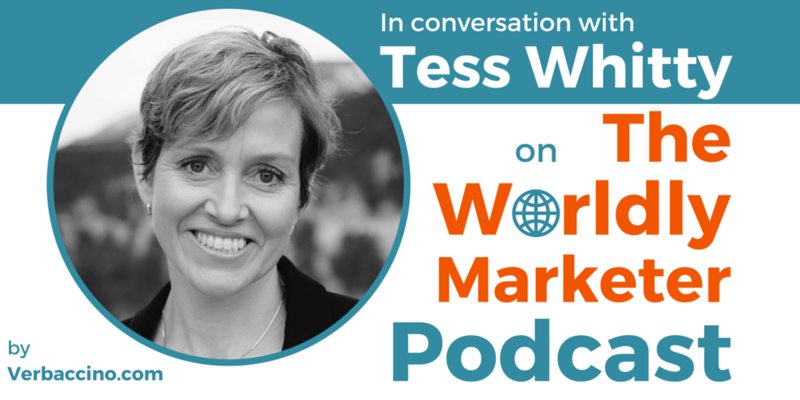 I first discovered Tess through her excellent Marketing Tips for Translators podcast, which is now approaching its 100th episode.